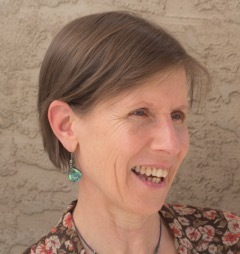 Esther brings a unique blend of expertise, life experience, and joy to her classes and programs. 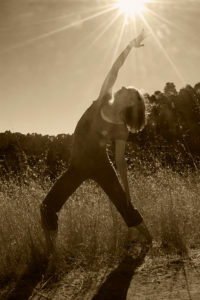 Her instruction is rooted in the belief that the profound benefits of yoga and mindfulness are accessible to everyone. Yoga accompanied Esther through years of office work and a high-intensity career as staff development trainer for UNICEF and other international organizations, which had her traveling globally, especially in Africa. During this time, a regular yoga and mindfulness practice provided her with relief from intense stress and episodes of severe lower back pain. Esther is known for designing experiential learning and state-of-the-art programs that enable people to feel energized and thrive. Whether one-on-one or in groups, she helps her students clarify concerns, reduce anxiety, and figure out next steps to reconnect with their life purpose, become more effective interpersonally, and find increased energy and ease. Embedded in all of Esther’s programs are opportunities for deep stress relief, for unfolding self-awareness, and for supporting behavior change designed for participants in the thick of challenging work and difficult life transitions. Esther owns her own business, White Flame Yoga, and is committed to helping individuals, organizations and their leaders thrive in the Philadelphia area. She teaches classes, designs workshops, and leads seminars in various organizational and wellness settings throughout the area. Esther is co-chair of the Weavers Way Health and Wellness Committee and member of the practitioner team at the Healing Arts Studio in Chestnut Hill, Philadelphia. Certified as an Experienced Registered Yoga Teacher (E-RYT), Esther is trained in the Kripalu tradition. As a long-time mindfulness practitioner, she has additional training in meditation, breath awareness, and yoga for chronic health conditions.